Call Tin Cat for all your video production requirements. - I received over 15 orders yesterday. Thanks again for a fantastic job! "Thanks to Tin Cat Productions for the awesome video"
"I have had the pleasure of working with Tanith from Tin Cat Productions. ​Her work is professional and fluid and she followed my manifest with valuable creative suggestions." *You have a new product and you'd like to sell more using video! *You provide a service. You'd like to show how easy your service is and how it will help others. Whether you are inspired and ready to roll or you have a vague idea (or no idea whatsoever), Tin Cat will help capture and present your business to showcase all your hard work. Whether you want a video blog post every week, or 30 videos for an online course, or a once-off website video, we've got you covered. A two minute informative front page video for your website - great! A fashion style video series to give your content marketing a boost? Check. A monthly product update? No problem! No job too big or small - videography done the way your business wants it. Tanith Carroll at Tin Cat Productions is the video maker for your next small scale video production. Tanith loves a moving image. She loves small business and she loves to help. She calls you back, she understands your brief and she rocks up with a smile. Put it all together and Tin Cat becomes a local small video production house specialising in producing video content for local small businesses. Sweet. Tanith's first and last seflie. 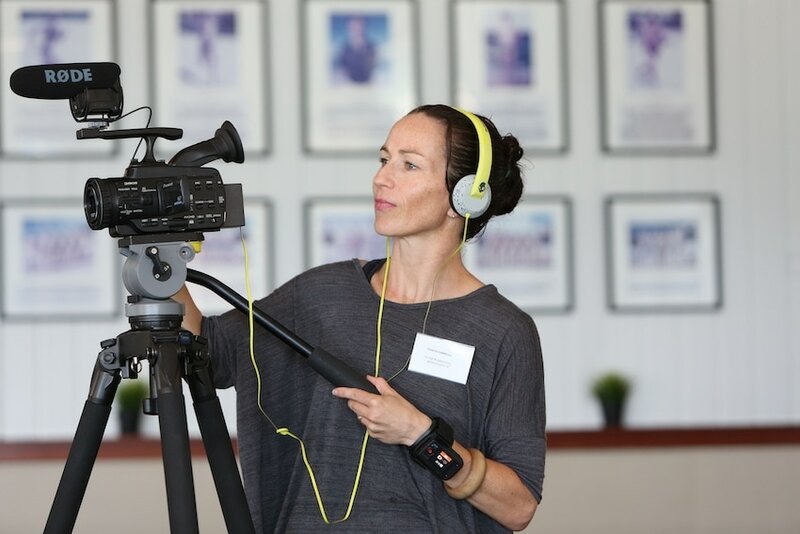 When you start your video production journey with TIN CAT PRODUCTIONS you'll talk to Tanith Carroll. I've worked in film, TV and theatre since day dot... (with a brief interlude in toilet manufacture...). I'm looking forward to making your video the way you want it. ​Check out my linked in profile for more details!